The game plays perfectly with the iso images. On a maximum install, most of the data it uses is on the hard drive anyway. The CDs are only used for the movies, and even they can be moved to the HDD with a bit of registry editing. Nope, it should have no effect at all. Just make sure that you install the game from the same lettered drive you plan on mounting the iso's with. Or else you need to change registry settings to get it to work. ...No. Why would it? An ISO is just an image of the disc + ECC and file partition. I have a request for someone who in fact owns the platinum edition, and windows xp. Please install the sy70xg, and see if it installs. IF it installs, let me know if anything specia was needed ot do it. If it installs, did it work. If not, please download the microsoft update cab file (google it) update the driver to the one present inside of the cab file (use normal windows extraction methods) and let me know if that fixes it. i know the one that comes with the non platinum one will NOT install on xp. you can run it in 98 compatibility mode, but it wont' realyl install, and the xgplayer program will NOT run. This may be off topic, but I'm in a situation of two copies of FF7 lol. The first time, I got the discs (platinum) and it was in decent condition. I downloaded a pirate copy, BUT it's legal if you already own the product you're downloading. Same situation when I got the triangle-boxed version. I have it, and I keep it sealed along with my FFVII black edition for PS1. I downloaded a pirated copy again when I got that one, but here's my question. It IS legal to download roms and iso's of games if you own it... but what if you havent opened it!? This may be off topic, but I'm in a situation of two copies of FF7 lol. The first time, I got the discs (platinum) and it was in decent condition. I downloaded a pirate copy, BUT it's legal if you already own the product you're downloading. its not legal, why i can't really tell you. this would classicly be covered by "fair use"
Same situation when I got the triangle-boxed version. I have it, and I keep it sealed along with my FFVII black edition for PS1. I downloaded a pirated copy again when I got that one, but here's my question. It IS legal to download roms and iso's of games if you own it... but what if you havent opened it!? this would be a dual violation of the DCMA, for you have 1. broken the copyright protection and 2.changed the format of the product... this also would have classicly been covered by "fair use"
Q: Is it legal to download a copy of a game I own? A: No. 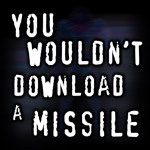 Even if you own the original game, you are not entitled to download a copy of it. Copyright law clearly states that the only copy of software you are entitled to is the one you make yourself. Anyway, back on the subject, I bought a FF7 from amazon, and it was of Like New quality. Turns out the disk was broken sometime in the Shipment and I sent it back for a refund. I never got the refund. I bought another one, but this time, the disk didn't read (It was Very Good Condition), and gave me an "Corrupt disk error". "Cannot Read Data. Insert a valid disk" or something like that. I wrote tec support, and they came to the conclusion that I had to replace my DVD-rom drive. I did, but it gave me the same faulty error. I tried to send back the Disc for a refund, but the disk was lost in shipment. There are 24 copies available in the United States of America. WOW! $45.00 + $5.00 S&H without the box!! Maybe I should list my 2nd copy of FF7. Then I can buy more toys . . .
You could buy the re-released version at SquareEnix store for $9.99 or £7.99. Where do i buy the rerelease? is there an official downloadable one? you know, pay and download to pc? Does it still use midi for the music, or have they stuck in a proper softsynth o a routin to use the original PSX music? If so, i might buy this digital download. and converted the midis to equally bad sounding OGGs. They screwed up, but at least it can be easily replaced. well, +1 for the new music and graphics engines. so it plays looping ogg fiels now? -2 for using the #[email protected]$ GM midis as source. -1 for @#@% securerom and forced cloud save sync. Fortunaetly stripping the securerom out (not saying how) also removes the forced cloud sync. Still, it's a good price, and probably the only version that works on modern cards and has proper sync. it's up to version 1.0.7 now, btw. honestly square should grab the remastered music and use it. i don't think anyone here will mind. Or they could convert the official OST or the PSX music to OGG. The ball's in their court.